Top officials focus on the economy, relations with China, fighting disinformation. 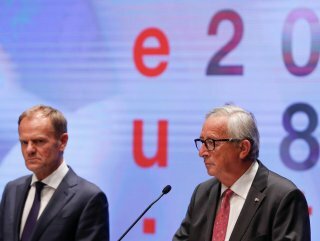 EU Council President Donald Tusk and EU Commission President Jean-Claude Juncker held a news conference following a two-day summit that focused on the economy, relations with China and fighting disinformation. “Our aim is to focus on achieving a balanced relation, which ensures fair competition and equal market access,” said Tusk, highlighting priorities for a summit with China next month. Tusk touched on the need for open and assertive trade policy and prepares the EU for increasing global economic competition. 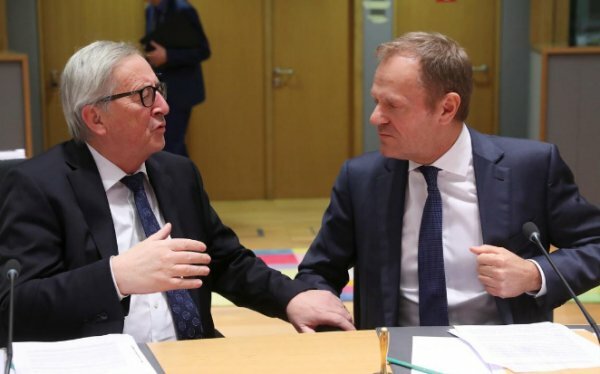 “We want to reinforce European capacity to deal with technology theft and cybersecurity threats, and we look forward to the Commission's recommendation on the security of 5G networks,” said Tusk. Juncker said: “We have good relations between China and EU asymmetrical and this leads to imbalances,” he said, adding that China is a partner and rival of the EU. “Chinese markets are not sufficiently open to European products. Chinese markets exclude us to a great extent,” Juncker added.